“The music that you hear and watch on YouTube and streaming systems is hand made with the sweat and expertise of music makers who dedicate their lives for the enrichment of others. It is demoralizing and wrong when this is taken without equitable compensation. We are only seeking what is right and fair for our livelihoods and our families,” said Ray Chew, music director of Dancing With the Stars and Showtime at the Apollo. Chew is a former Saturday Night Live band member and American Idol music director. 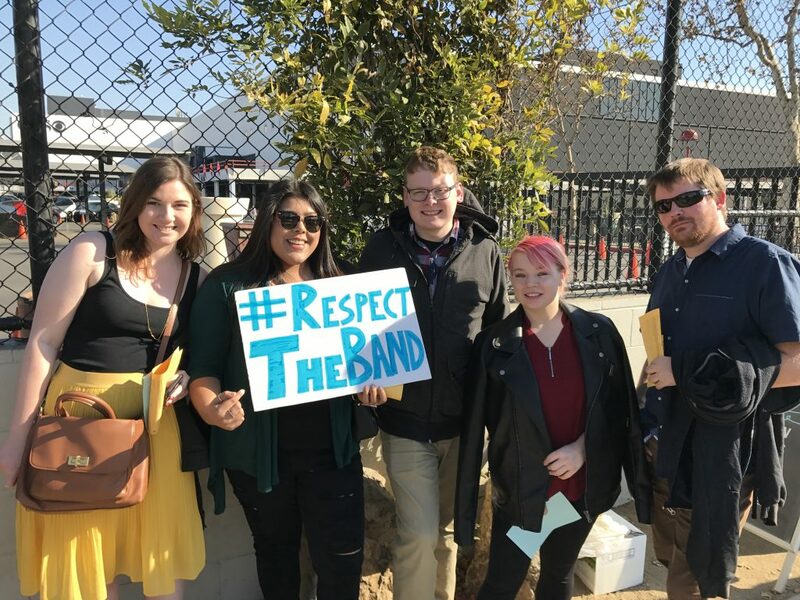 Musicians who perform on live television shows including Jimmy Kimmel Live!, The Late Show with Stephen Colbert, The Tonight Show Starring Jimmy Fallon, Saturday Night Live, and The Voice aren’t paid when shows are “free” to watch online. But these “free” shows aren’t really free—they are supported by paid advertising. Other performers are all paid residuals when live television shows stream—but musicians do not receive residuals for this type of work. “This is about more than the headliners you see on television. It’s about the networks treating everyone on these shows fairly,” said Danita Ng-Poss who will be serving as a music librarian and copyist for her fourth Academy Awards show in 2018. Ng-Poss has also worked on America’s Got Talent and similar shows for the past decade. “This is about fairness. It’s a travesty that musicians are being treated this way. We are just asking the networks for a little respect—and the networks can certainly afford to treat musicians with the respect we deserve,” said Harold Wheeler, well known in the Broadway and recording scene, who will be the Oscar’s music director in 2018 for the third consecutive year and was also the original Dancing With the Stars music director. The musicians, represented by the American Federation of Musicians (AFM), have been negotiating a new contract for close to 18 months for work done on live or recorded television programs initially aired over a broadcast network or in syndication, including variety shows, awards shows, game shows, talk shows, morning shows and sports broadcasts. “I should be afforded the same respect as all my colleagues working on these shows. It just doesn’t make sense why vocalists are paid when they are on YouTube, but band members don’t get anything,” said sax player Dan Higgins. Higgins, perhaps best known as the sound of Bleeding Gums Murphy on The Simpsons, has performed on countless live television shows including the Oscars for over 25 years and was in the Dancing With The Stars band for eight years. 80,000 musicians comprise the American Federation of Musicians of the United States and Canada (AFM). We perform in orchestras, backup bands, festivals, clubs and theater—both on Broadway and on tour. AFM members also make music for film, TV, commercials and sound recordings.